We have the best Cupcakes in Sydney! Order mini cupcakes online for courier delivery in Sydney Australia, for yourself or as a cupcake gift, from our Paddington cake studio. 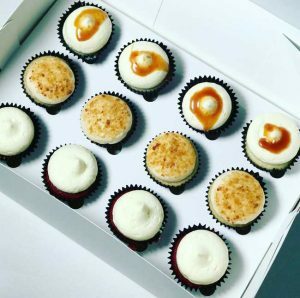 At Vanoir, you can always buy any quantity of our freshly baked gourmet cupcakes on the spot. Or, skip the line when you place an advance Order online or by phone for pickup or delivery! Click on the image below to take you straight to our cupcakes online shop.